Building plot with full planning for detached 3-4 bedroom bungalow. CONSENT PASSED FOR A DETACHED DWELLING AND GARAGE. Are you looking for land for sale in Gloucestershire or even a property for renovation or conversion? Plotfinder.net holds a database of building plots across England, Scotland, Northern Ireland and Wales. Above you'll find links to the very latest properties for sale in Gloucestershire. 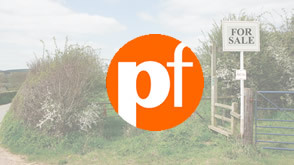 You may also be interested in looking for land for sale in the counties surrounding Gloucestershire such as; Worcestershire, Bristol, Wiltshire or Oxfordshire. Use the search facility above to refine or change your search criteria. Property listed includes; land for sale, renovation and conversion opportunities, lots sold by auction and property for sale by private sellers. Completed 1970s Self Build: Carol and Gerry Walsh have created a Frank Lloyd Wright-inspired home out of the shell of someone else's self build that took over 30 years to build. Amazing Bungalow Remodel: Penny Shankar has transformed a 1950s bungalow by adding a flat-roofed timber-frame structure on top, creating a modernist two-storey home.